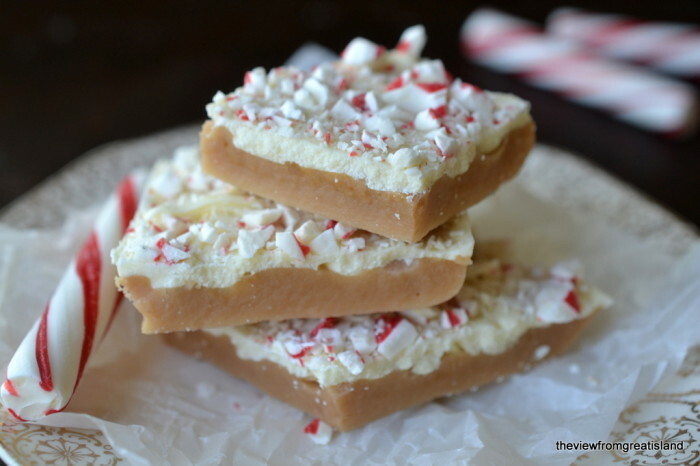 Candy Cane Toffee ~ a holiday twist on a classic candy that marries peppermint with buttery toffee! 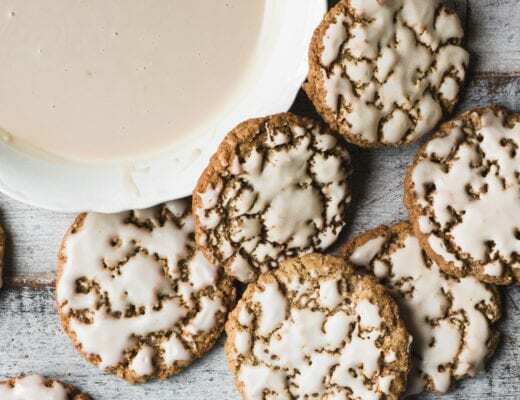 Leaving cookies and milk by the fire on Christmas Eve is so yesterday. 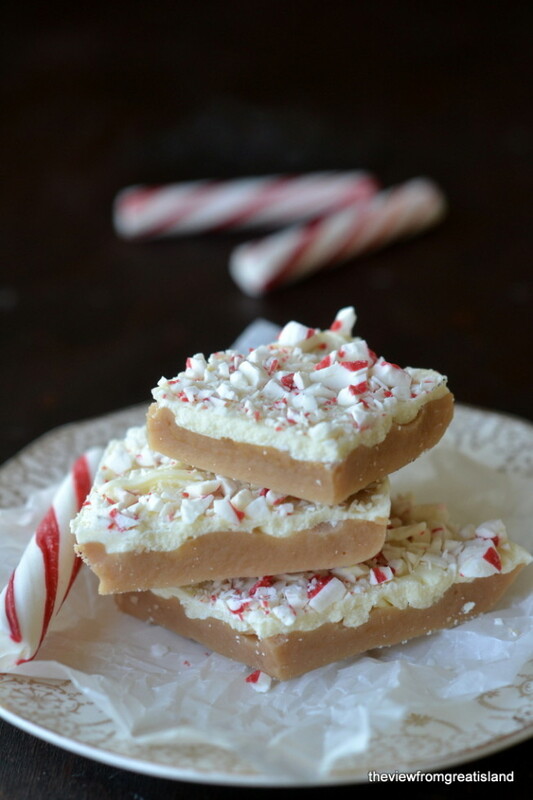 And since Santas come in all shapes, sizes, genders, and colors, why not leave something a little different for whoever is coming down your chimney, something they’ll really enjoy, a nice plate of Candy Cane Toffee… buttery toffee topped with creamy white chocolate and crushed candy canes. 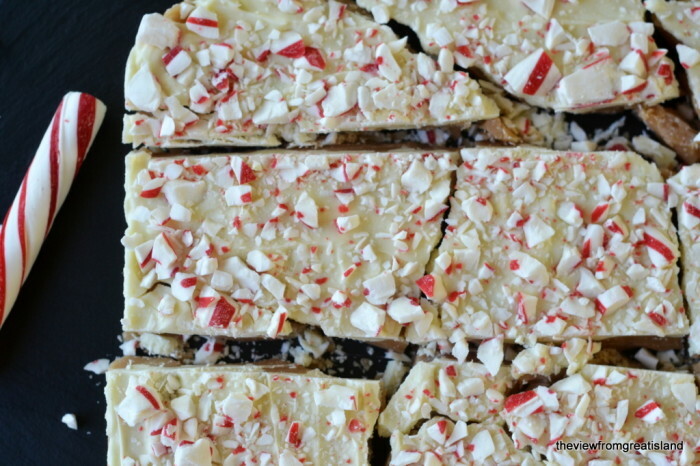 White chocolate, peppermint, and toffee is an unusual combination, but somehow it just works. It’s one of those holiday only types of tastes, like eggnog and fruitcake. 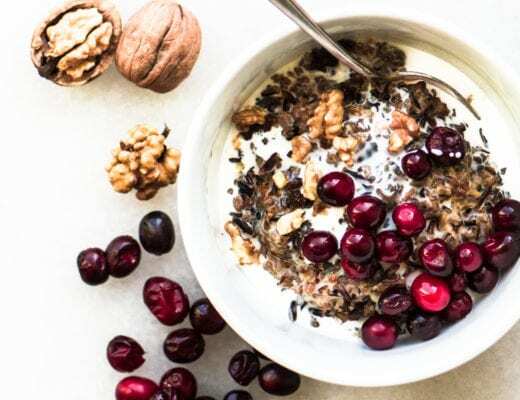 Try it with regular chocolate if you aren’t fond of white. And if you’re more of a traditionalist, make a batch of my classic English Walnut Toffee. Line a 9x9 baking pan with foil, letting the ends overlap the pan so you can lift the toffee out of the pan when set. Put the butter and the sugar in a heavy saucepan. Heat over medium heat, stirring constantly, until it comes to a boil. Boil gently, stirring all the time, until the mixture comes up to 280 degrees. Be careful it will be very very hot. Pour the toffee into the prepared pan, and spread it out evenly. Let the toffee sit for 60 seconds, then top it with the chocolate chips. Let them sit for a couple of minutes to melt, and then carefully spread the chocolate over the toffee. Top immediately with the crushed candy canes, pressing them into the chocolate gently so they will stick. Let the candy set at room temperature for a couple of hours to harden. Then lift it out of the pan, remove the foil, and cut into pieces. White chocolate can sometimes be tricky to melt. If you've had trouble in the past, you can substitute white chocolate melting wafers, just be sure to cut them in small pieces. You can also use regular milk or dark chocolate chips instead of the white. If Santa doesn’t leave any leftovers, you can whip up another batch in the morning, after the presents are all opened, it just takes a few minutes. 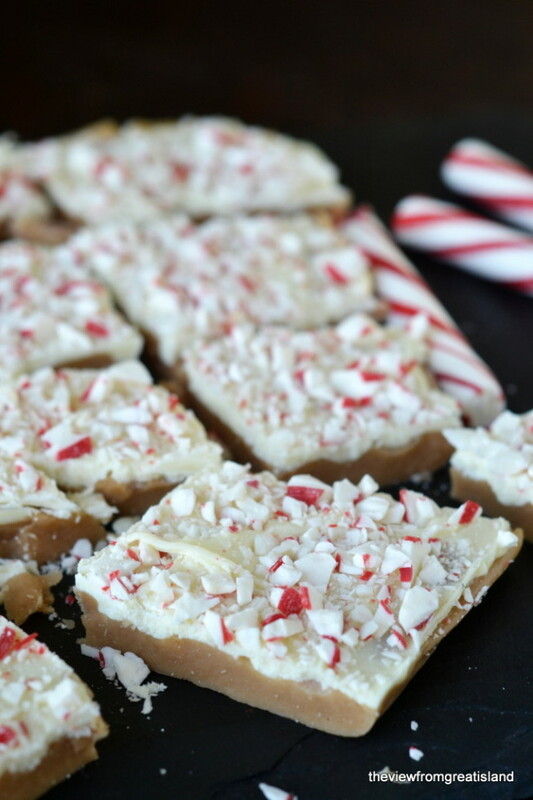 i’ve never tried incorporating peppermint into my toffee, but i think it’s an idea worth trying! lovely work! 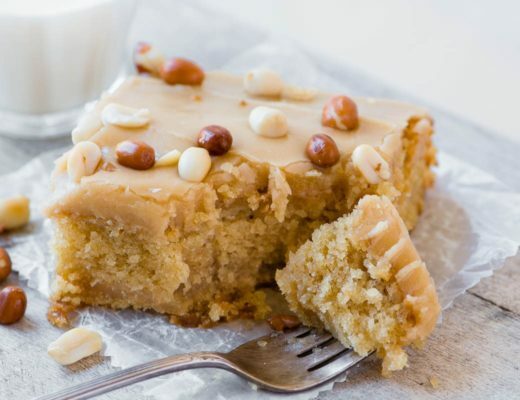 I’ve never tried toffee with white chocolate and now I am dying to taste this! i love white chocolate bark. this sounds so amazing! 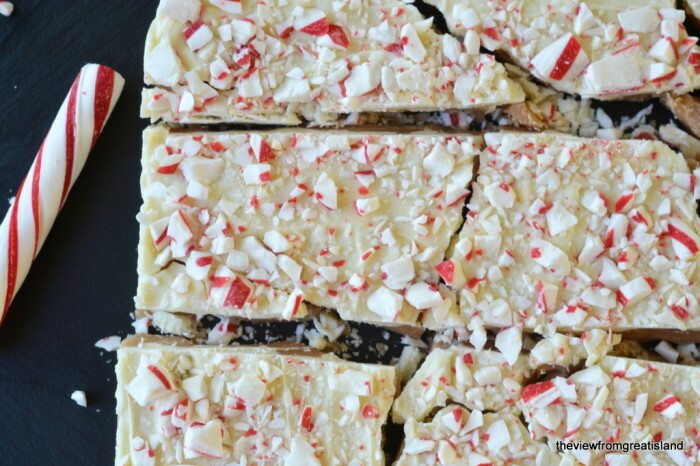 White chocolate, peppermint, and toffee sounds like a fantastic combinaton. These candy cane toffees sound excellent.